Publisher: Nonesuch Press, London. No date, but research reveals it to be 1924. 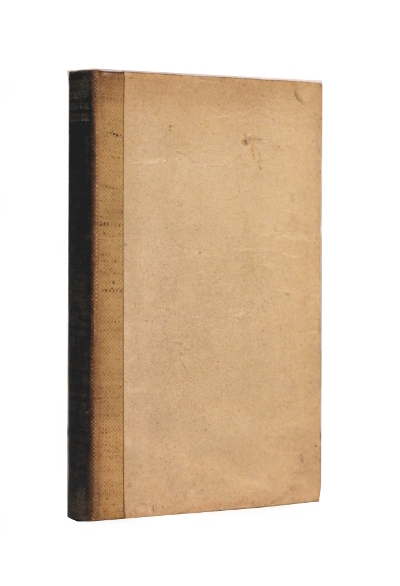 Condition: Buckram spine, card covers. Limited edition, of which this is No 751 out of 1050, printed on hand-made paper. Very good. 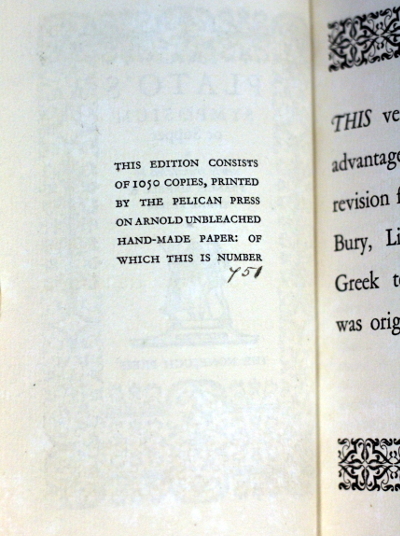 Slight wear to covers, ex-libris plate to front endpaper, deckle edges, annotations in pencil to back endpaper. 106pp. A small book, appr. 6.5″ by 4″. Love is examined in a sequence of speeches by men attending a symposium, or drinking party. Each man must deliver an encomium, a speech in praise of Love (Eros). The party takes place at the house of the tragedian Agathon in Athens. Socrates in his speech asserts that the highest purpose of love is to become a philosopher or, literally, a lover of wisdom. 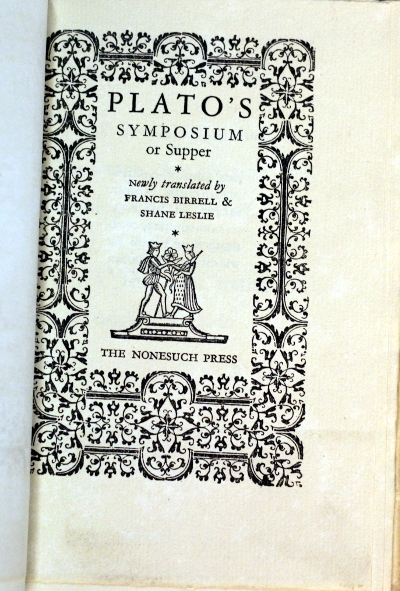 Commonly regarded as one of Plato’s major works, the dialogue has been used as a source by social historians seeking to throw light on life in ancient Athens – in particular, upon human sexuality and the symposium as an institution.